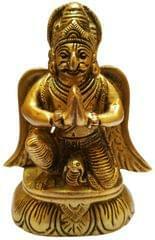 The Garuda is a eagle like sun bird or bird-like creature in Hindu, Buddhist and Jain mythology. 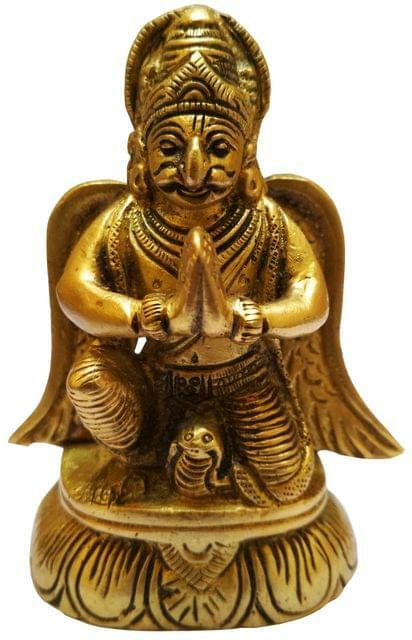 He is the vehicle mount (vahana) of the Hindu god Vishnu, a dharma-protector and Astasena in Buddhism, and the Yaksha of the Jain Tirthankara Shantinatha.Garuda is described as the king of birds. He is shown either in zoomorphic form (giant bird with partially open wings) or an anthropomorphic form (man with wings and some bird features). Garuda is generally a protector with power to swiftly go anywhere, ever watchful and an enemy of the serpent. He is also known as Tarkshya and Vynateya. Garuda is a part of state insignia in many Asian countries.